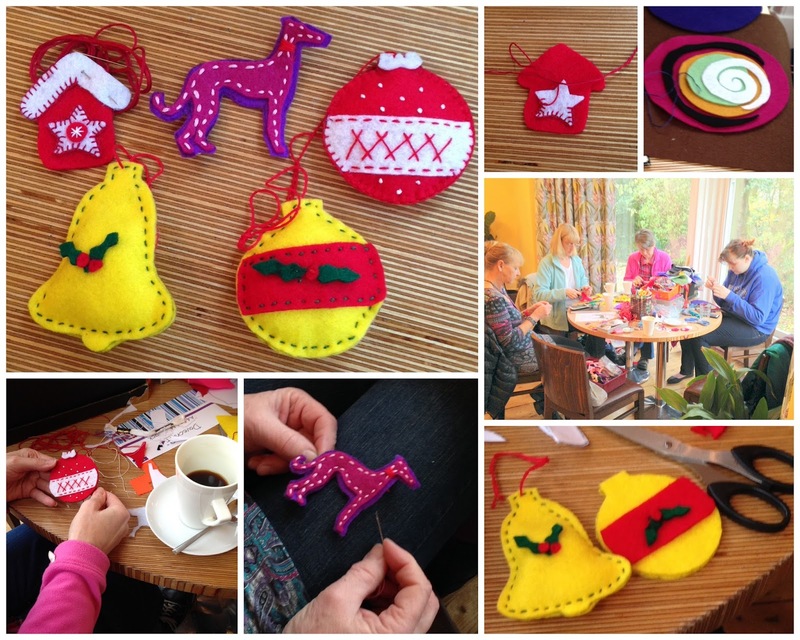 Here are some of the brilliant Christmas Decorations my Craft Group made yesterday. It's amazing what you can do with a bit of felt, thead and imagination....and some coffee and cake!! !